The statute of limitations, found in both federal and state laws in the United States, places a time limit for commencing legal proceedings and actions in civil and criminal cases. 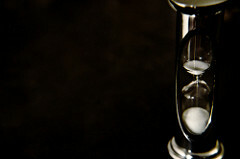 This is the clock that starts ticking usually when a crime is committed or an event occurs that is ground for a lawsuit. Typically in a civil (as opposed to criminal) matter, the clock does not start until the plaintiff knows or reasonably should have known about the events that give rise to the lawsuit. In a car crash case, the date of the crash would usually be that date. But in cases where the event is not as dramatic or obvious of the car crash, the court looks at when the plaintiff knew about the event and the damages it caused them. In criminal cases, the statute of limitations usually starts running when the crime occurred, and not when the crime was discovered, but this is not always the case. Not every state has the same statute of limitations for the same crimes and civil lawsuits. In the United States, exclusions to the criminal statute of limitations include most murder cases, crimes against humanity, genocide, war crimes, and “fraud upon the court” which usually means lying to the court under oath. Not every country follows the same considerations of limitations. For example, serious offenses such as theft, murder, sexual assault, and kidnapping have no statute of limitations in Canada while less serious crimes do. The statute of limitations can be extended by the U.S. court system. In some states, if an accused criminal flees the jurisdiction, the statute of limitations can be placed on hold until they return or are apprehended. Civil contracts can shorten or extend a statute of limitations by including a provision that is agreed upon by all parties. One of the most dramatic examples of extending the statute of limitations in a criminal case is on behalf of victims of childhood sexual abuse. Many victims repress their memories until long after the abuse ends. The memories that return are “recovered memories” and many states codify the phenomenon into state law, allowing the statute of limitations to change based upon the emergence of these memories. Many states have changed the limit to a certain amount of years after victims reach legal adulthood or a specific amount of years after the memories return. The next time you’re watching your favorite crime drama and the District Attorney’s office hands down the ultimate disappointment that nothing can be done because the statute of limitations has run out, you can still feel cheated that there will be no showdown in the courtroom. You’ll also understand what the term “statute of limitations” means.